Nikon makes some stellar photography kit, but it doesn’t seem to have an eye for end results. 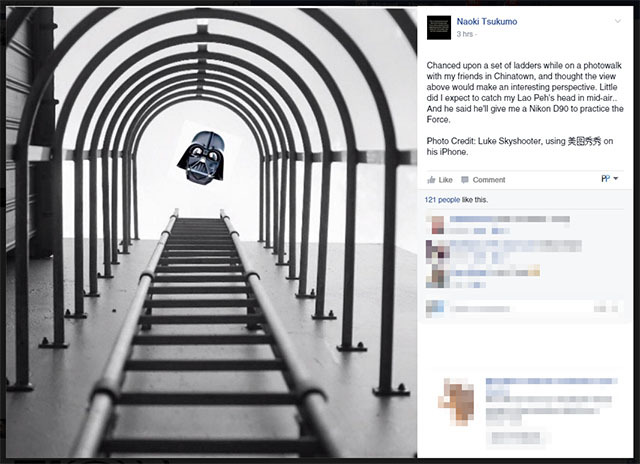 The company’s Singapore branch recently awarded a prize for a seemingly impressive photo, except that it was just a bad Photoshop job. Look closely at the image above. See anything off about the plane? As it turns out, there’s a white box around it. Onlookers via Facebook quickly caught the slip-up, and shamed Nikon and the photographer by ‘shopping the image themselves. Darth Vader, a lady in a white dress and Godzilla all make an appearance. 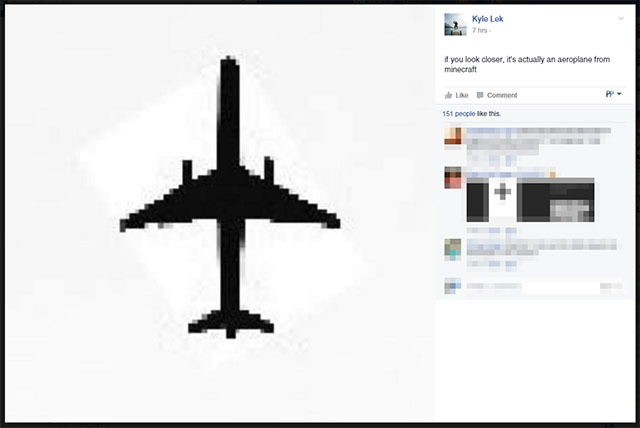 Someone even said the plane may actually be from Minecraft. Via Instagram, the photographer says he ‘got lucky’ for the shot. If by ‘lucky’ he means ‘found a plane image I thought I could use on the first Google search page,’ then yes. It’s not clear if Nikon will still ship the guy his prize (a Nikon bag! ), but the image is still up — and Nikon is still calling it a great shot. Update: The photographer behind the shot has now apologized on his Instagram page. Hello everyone, This goes out to everyone who has seen my Chinatown plane post. I’m sorry! This is going to be quite a read so that’s the first thing I would like you to read if you don’t have time to read below; I would like to apologize for the mistake I have done. I’ve been quiet so far because I’ve been trying to contact Nikon and have been waiting for them to contact me back to discuss about this. I understand that what I would say might affect Nikon’s brand hence I decided to wait for their advice. However, since more than 24 hours have passed and I have not managed to have discussions with Nikon, I think I shouldn’t wait and it’s important for me to come out to address this issue. 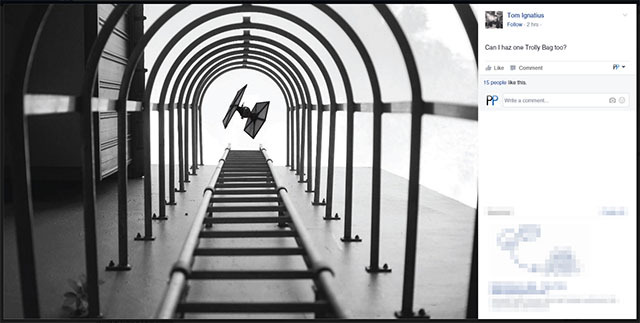 Like one user commented, I was on a photo walk in Chinatown and I chanced upon that set of ladders. I snapped a picture of it, and subsequently felt that a plane at that spot would make for an interesting point of view. 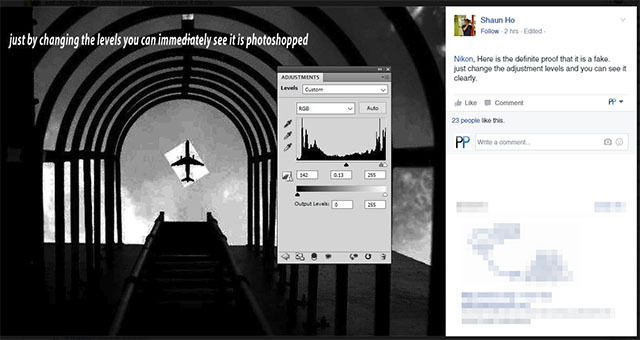 Hence, I inserted the plane with PicsArt and uploaded it to Instagram. That’s how I use Instagram, sometime it’s to showcase the work I’m proud of, sometimes just to have fun. This case, that small plane was just for fun and it was not meant to bluff anyone. I would have done it with photoshop if I really meant to lie about it, but no, it was a playful edit using the PicsArt app and uploaded to Instagram. When my friends commented with some questions, I also answered it jokingly, saying it’s the last flight of the day and saying it was my lucky day that I did not wait too long. At that time, of course everyone who read it took it as a joke, before this issue arrived and it is taken seriously. However, I made a mistake by not keeping it to Instagram as a casual social media platform. I crossed the line by submitting the photo for a competition. I meant it as a joke and I’m really sorry to Nikon for disrespecting the competition. It is a mistake and I shouldn’t have done that. I also shouldn’t have jokingly answered Nikon that I caught the plane in mid-air and should have just clarified that the plane was edited in using PicsArt. This is my fault and I sincerely apologise to Nikon, to all Nikon Photographers, and to the photography community as general.